March – Seedlings for April/May, Early Plantings! Temps have been cool, day lengths are still short. 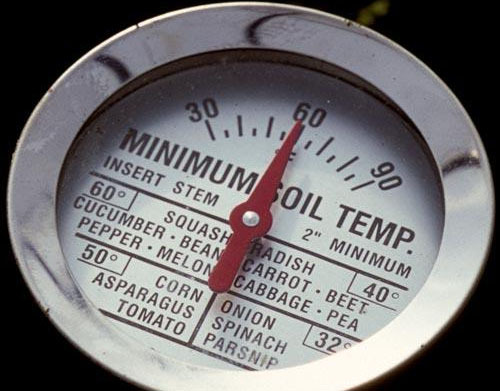 We want Night air temps steadily above 50 and soil temps 60 to 65 for starting our plants well. Peppers, especially need these warmer temps. They do best with nighttime temps above 55°F and soil temps above 65°F. Average March night temps are in the mid 40s. The soil temp now is 51-53°F at Rancheria Community Garden. MARCH through June Planting Timing! 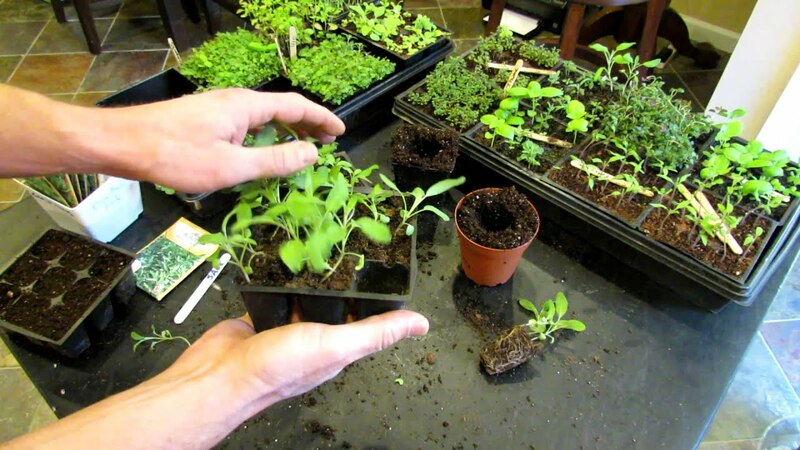 Start MORE seedlings indoors NOW for April/May plantings – eggplant, peppers, and more tomatoes for transplanting into the garden in late April or early May. Also sow cucumbers, squash and sweet potatoes. The beauty of seeds is you can plant exactly what and how many you want! Sow seeds. If seeds and tending seedlings aren’t for you, get transplants and pop them in the ground per their right times! Plant Winter squash now so it will have a long enough season to harden for harvest and be done in time for early fall planting. Right now plant pepper transplants (at the right temps) and cold tolerant, early varieties. Plant determinate quick maturing tomatoes – start with small fruited varieties and cherry toms – for soonest tomatoes for your table! The moist soil at Pilgrim Terrace has residues of Verticillium and Fusarium wilts, so some gardeners will wait until warmer drier June soil to plant tomatoes and other veggies that are wilts susceptible. See more on how to avoid or slow down wilt and fungi problems! Outdoors sow or transplant beets, carrots, celery, chard, herbs, Jerusalem artichokes, kale, kohlrabi, leeks, lettuces, green onions, bulb onion seed and sets (be sure to get summer- maturing varieties), parsley, peas, peanuts, potatoes, radishes, shallots, spinach, strawberries, and turnips. Transplant broccoli, Brussels sprouts, cabbage, cauliflower, and kohlrabi seedlings. Time for heat-resistant, bolt-resistant lettuces of all kinds! Sierra, Nevada, Jericho, Black Seeded Simpson are some. Tips for super Successful Transplanting! Beans, Cukes, Dill, RADISH Companions! Depending on ground temps, tuck in some bean seeds where the peas are finishing, intermingled with cucumber seeds that will grow low along the trellis, below the beans, plus a few dill to go with the cukes! See below for bean/cuke planting tips. Plant radishes with the cukes to deter the Cucumber beetles. It is perfect to put in fast growers like lettuce, beets, turnips, arugula, to hold space until you are ready to plant bigger plants. When it’s time for the bigger ones, clear a space/harvest, pop in your seeds or transplants and let them grow up among the littles. As the bigger plants start to shade out the littles, remove lower leaves so the littles get light too! 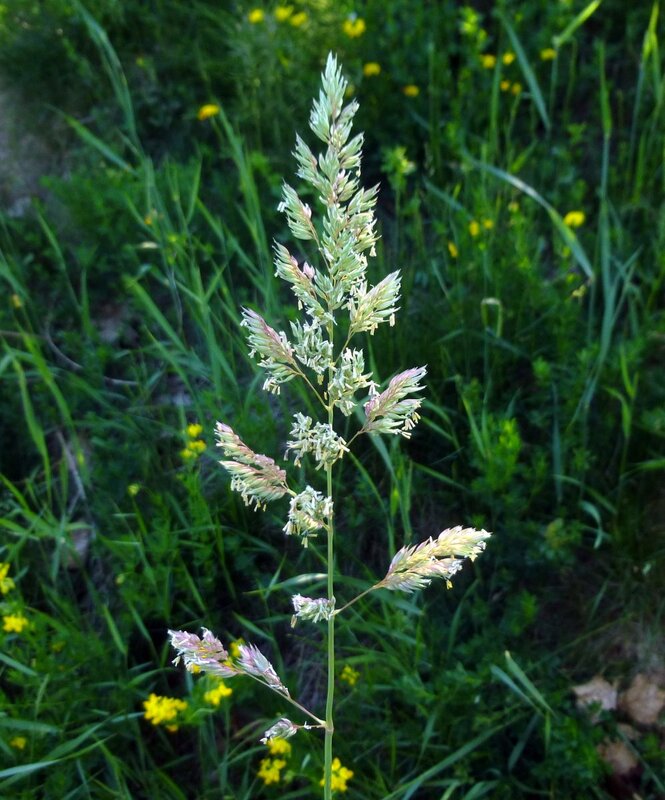 If you anticipate a HOT summer, plant littles on the morning side of larger plants. There is still time to put in another round of green manure to enrich your soil Nitrogen. In warming weather and longer days, it grows faster, the cover crop will be ready to turn under in 6 weeks to two months. Give it two to three weeks to decompose and integrate with your soil, and the area will be ready to plant again. Or, dig your planting holes, put in some fine compost, your other favorite amendments, like worm castings, bone meal, a mineral mix, and plant! The rest of the area will take care of itself! Consider not growing kale or chard over summer. Kale gets tough, has smaller leaves on a spindly stalk, and lacks that cool weather vibrance. Fertilizing, watering don’t really do the job. It thrives in cooler weather. Chard suffers. It droops from heat, recovers, droops, recovers. That’s hard on a plant. Hardly seems like the time to harvest when it is trying to stay alive. Broccoli, on the other hand, depending on the variety, produces side shoots like crazy all summer long! Just be sure to stake them up as the plant gets large and top heavy! And feed it now and then. It’s working hard. Tall: Indeterminate tomatoes in cages, pole beans in cages or on trellises. Basil is great with tomatoes, and a pack of culinary dandelions! Tall broccoli you keep for summer side shoots. Cucumbers are great on the trellis below the beans. Middle height: Determinate tomatoes, bush beans, okra, tall peppers like Big Jim Anaheim or Poblanos, zucchini – Costata Romanesco is prolific. Potatoes with Zucchini to repel squash bugs. Radish with cukes and squashes to repel cucumber beetles, with cukes, squashes and eggplant to trap flea beetles! Large Winter Squash vines and pumpkins are middle height, while some mini melons would fall to the lower mid height zone. Put in zucchini and vines to take up space if you don’t want to do a lot of tending, but do know, you must keep those zucchini picked! If your zucchini is dense, an unpicked zuke can become a 6″ diameter monster in as little as 3 days! Lower plants like eggplant, like a lot of heat. Put them on the sunny side, slightly in front of every other slightly taller plant. Leave a couple kale that will get taller. But, if they are leafless stalks with pom pom tops, they aren’t going to give any shade, so they could be left anywhere actually. Plant lettuces or leafy plants around their base as a living mulch and keep the soil there moist and cooler, and feed them. Or grow the heat tolerant flat leaf kale like Thousand Headed Kale! It has many growing points instead of just one! Shorties & Littles: A lot of shorties will be in front of other taller plants, in some instances a living mulch, so there is no real need to have a patch just for them. Your plants all help each other. When the bigger plant leaves start shading out the littles below, harvest strategic large lower leaves to allow light and airflow. Put beets and carrots in the short zone, between and among big plants. Bunch onions away from beans, great with other short rooted plants like lettuces that need to be kept moist. Summer small bulbed variety radishes give a great spike of hot flavor to a cool summer salad! Some delicious mini melons are quite small leaved and low to the ground, are easily trellised, great in containers! Flowers & Seeds! Let arugula, cilantro, chamomile, a carrot or two, and a celery to go to flower to bring bees, butterflies and beneficial insects! Besides being beautiful and having lovely scents, let them seed out for seeds for next year’s plantings, to share at the seed swap, give as gifts! Carrots love being with cilantro and chamomile, and chamomile improves the flavor of any neighboring herb! While you are thinking where to put things, select permanent spots for herbs, gateways points for flowers and edible flowers! Designate a permanent patch for year round flowers for bees. Cilantro is both tasty and has lovely feathery leaves and flowers in breeze, great bee food. Chamomile is downright heady scented on a warm morning. Comfrey, Knitbone, is both healing (arthritis/bones) and speeds your compost, is high in soil nutrition. Poppies are beautiful; humble Sweet Alyssum is dainty and attracts beneficial insects. Calendula traps aphids, whiteflies, and thrips! Marigolds are brilliant and called the workhorse of pest deterrents! Cosmos is cosmic! Water your prepped areas when you water your other veggies. Soil organisms need moist soil. Hose APHIDS off chard, kale and brocs. Keep doing it for a few days to catch the ones you missed and new generations. Nearby, plant Calendula as a trap plant, radish to repel them.For hard to get at places, down the centers of chard, crinkly kale leaves, get out that spray bottle! Treat once, wait a couple days, treat the ones that got away and newborns.I tried it, it WORKS! The simplest is to spray with 2 Parts alcohol, 2 parts water, 1 part soap. DO NOT use on seedlings, it will kill some of them. Spritz lightly rather than drenching or you may kill your bigger plant too! However. If the infestation is just over the top, with chard you can cut off the whole plant about 1 1/2″ above ground and simply let it regrow. Hose away any reappearing or lingering aphids post haste! Remove any yellowing leaves that attract whiteflies. Watering & Weeding Wind and sun dry soil quickly and short rooted plants like peas, or seedlings, need to be kept moist. Dust Mulching, cultivation, is perfect to break up the soil surface. That keeps the water from wicking to the surface and evaporating. If you use a hula hoe you do two things at once! Just a half to one inch depth cuts off weed sprouts. Indeed, it turns the soil a tad, all that’s needed. More weeds will follow, but it’s quick and easy to repeat the process. Two, three times, a few days apart, and there will be little weeds after that for awhile. Get ’em while they are small and easy to do. Smart gardening. Please enjoy some February garden images! Other Community Gardens – RISE in the Talamanca Mountains, Costa Rica! Events! Botanic Garden SPRING Plant Sale! CEC EARTH DAY Celebration 2017!